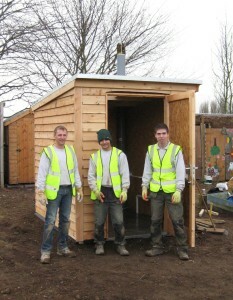 This waterless toilet for Mudlarks Community Garden in Ware, Hertfordshire took just 7 hours to install and fit out. 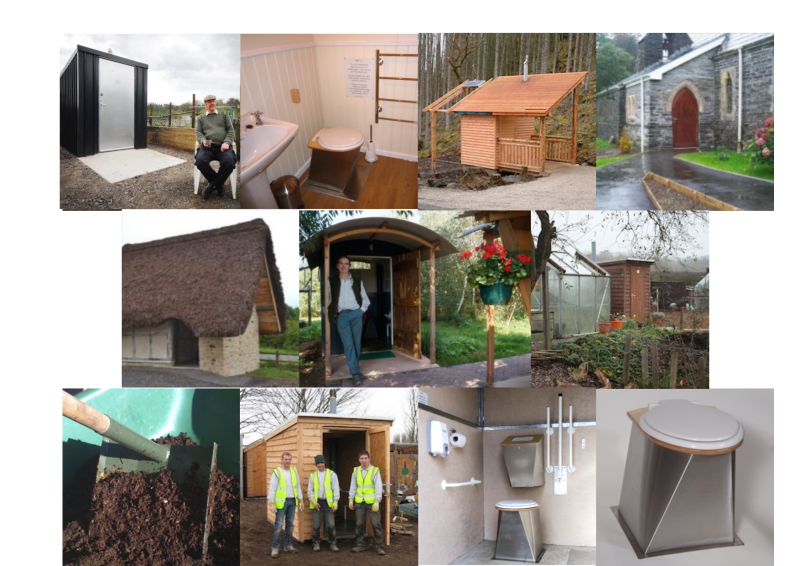 NatSol supplied all the toilet components, the timber building and certain specialist tools to help complete the job. The Mk 3 Full Access toilet represents the state of the art in waterless toilets and incorporates the new stainless steel pedestal and GRC floor hatches described in previous posts. Internal walls are factory templated to make fitting out really easy. This experienced team has successfully completed a number of NatSol compost toilet installations in the South of England. Clearly practice makes any job faster but the new design includes a number of refinements to simplify installation for first time installers as well. You can see from our map of installed toilets that we get quite a few repeat orders which helps build local installation expertise. NatSol work hard to constantly improve the design and instructions to help streamline the installation process and we always welcome feedback to help us do this. Happy installers make our life easier and result in a better installation. We usually expect a full access compost toilet to be installed in a day but site conditions, weather and luck can all conspire to make things go more, or less, smoothly. Installing a composting toilet and building that is expected to provide many years of trouble free service is not something that should be rushed.